She wanted to take the picture! 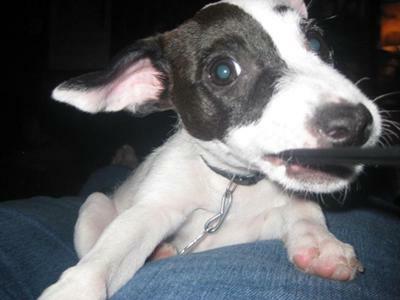 Sophie is a lively pup, full of energy and love. She gives the best puppy smooches! She loves spending time running in the yard with her sister and hates going to get her nails done at petsmart. She's got a mighty bark and would scare any intruder away. Her markings are so distinctive, she has a half circle above her right eye that makes her look like she has one eyebrow. She's our best friend and we love her so much!